WICHITA, Kan. (Nov. 28, 2017) – Textron Aviation Inc., a Textron Inc. (NYSE:TXT) company, today announced its new twin-engine, high-wing, large-utility turboprop – the Cessna SkyCourier 408. FedEx Express, the world's largest express transportation company and longtime Textron Aviation customer, has signed on as the launch customer for up to 100 aircraft, with an initial fleet order of 50 cargo aircraft and options for 50 more. Entry into service for the clean-sheet design Cessna SkyCourier is planned for 2020. 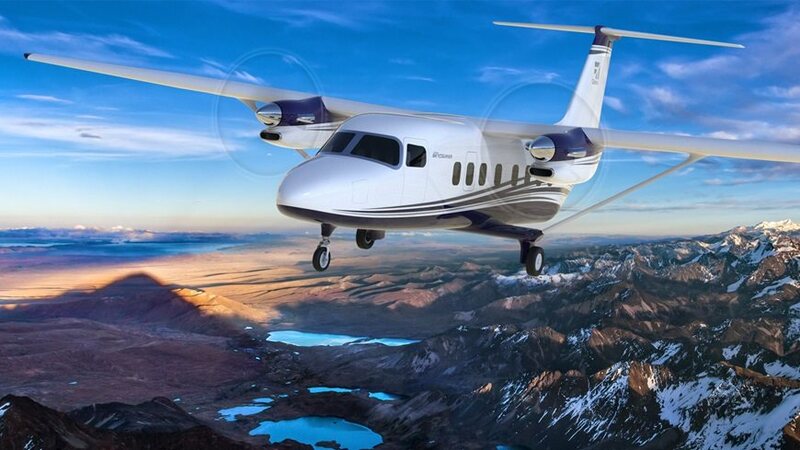 "With our depth of expertise and proven success in new product development, we were eager to work directly with a world-class company like FedEx Express to jointly develop the Cessna SkyCourier," said Scott Ernest, president and CEO of Textron Aviation. "The aircraft will fulfill a gap in this market segment with its superior performance and low operating costs in combination with the cabin flexibility, payload capability and efficiency only a clean-sheet design can offer." "FedEx Express has had a great relationship with Textron Aviation over the years, and this new, advanced aircraft will play a key role in our feeder aircraft modernization strategy," said David L. Cunningham, president and CEO of FedEx Express. "The Cessna SkyCourier 408 offers a number of significant features that will enhance our long-term feeder strategy."